I am one of those crafters that has more plans and supplies than time for projects. I seem to enjoy the planning portion and getting the supplies more so than the actual crafting. From time to time, I have to sit down, write a list and then vow to complete them before I begin any more. I will try not to acquire any more supplies unless I need it to complete one of the items on the list or if it just is too good to pass up. And it really has to be too good to pass up. Once I decide this, I am pretty good about sticking to the plan. 1. My felt tree: Pinterest.com has been both a positive and a negative influence on me. Yes, have found some wonderful projects to do (positive) but that means way too many I want to do (negative). Recently, I’ve gotten into working with felt and had a lot of it leftover from Halloween costumes and past projects. This was one I thought I could do while watching television. I worked on this one almost all day and it is about 75% complete. Will post actual photo of my project when done. 2. 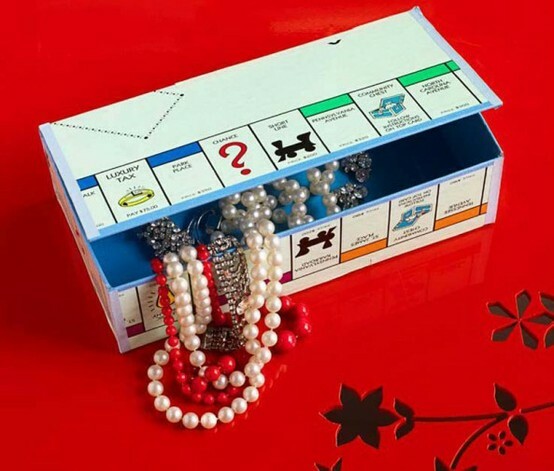 Scrabble Board Boxes: Another one found on pinterest.com. This speaks to my love of board games – especially Scrabble. I plan to make these and give them away. This one comes with a confession that I almost hate to admit, but I bought 25 Scrabble boards on eBay just to do this. I completed one as a test, but found that I had created it inside out (the game side on the inside), so I use that one to store supplies in for myself. I need to work out some sort of clasp as the lid tends to lift slightly (much like the one in the picture). 3. Updating an old school desk: Picked this up at an estate sale a week or so ago for a measly two bucks. I couldn’t say no. I have spray painted all the metal a high gloss candy apple red and am going to varnish the wood seat and backrests with a natural color (aka clear). This is about 75% complete as well. Not sure what I am going to do with it when done, but it does match my kitchen color, and I could possibly use it as a step stool. I have seen the ones with the attached arm or desktop painted with chalk paint, which is an marvelous idea, but the one I have is sans arm. Think I am going to have to keep my eye out for more. 4. Wall Scrabble tiles: I bought two 2×6 lengths of a beautiful knot-free wood and cut them into squares, ending up with 34 tiles about 6×6 (more like 5 3/4″ square). Sanded and rounded the edges of all the tiles and finished them with the same natural stain that I am going to use on the school desk. 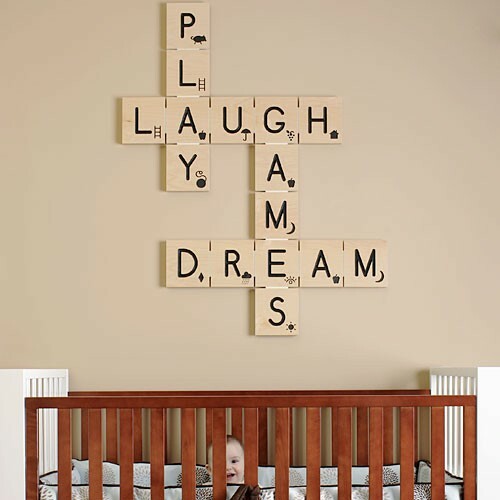 I just need to figure out what words that I want to spell out on the wall and then paint the letters onto the tiles. This is about fifty percent complete. I am planning on painting a large Scrabble board on the wall in y home theatre room and then mount the tiles with either velcro or magnets so that the tiles can be moved around. Did I mention I love Scrabble? 5. 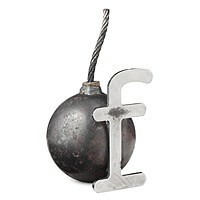 F-Bombs: Ha! I saw this on pinterest.com as well. They were just way too funny. 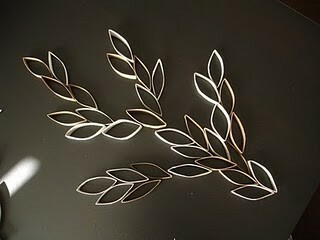 I worked on these this weekend as well, going Saturday afternoon and got the hardware I needed to finish. I think these are about 50% complete. 6. 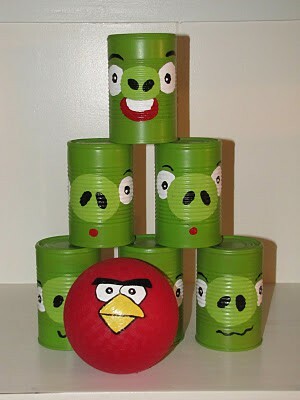 Angry Birds Bowling: Another pinterest.com project. I have the ball complete and just need to finish the cans… and they are close to completion. I am estimating this project at being about 85% complete. 7. TP Art: Haven’t gotten the final project designed completely, but have been saving tubes and tape rolls for a while now and I suspect that inspiration will guide me once I start working on it. Not sure where this will go, when done, but I will think about that later. I have seen some amazing things done. This project is not yet started, but I have the materials. 8. 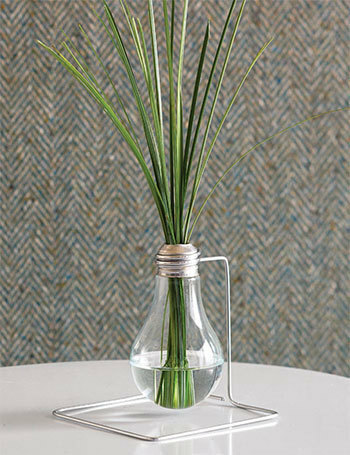 Light Bulb Projects: I have been collecting burnt out light bulbs for a while as well. The people that I work with are a pretty ‘green’ bunch and have come through for me in spades! This is another project where I think I have a general idea what I want to do, but don’t have the final plans. 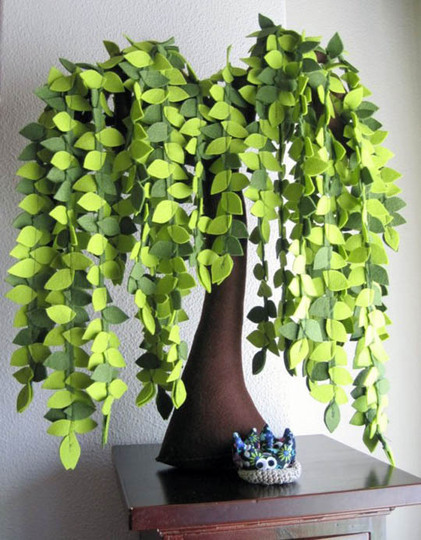 Here is an example of the kind of thing I want to end up with. 10. Needlepoint pillows: I have completed two fairly large needlepoint projects – one of a cupcake and the other a pre-printed pattern that says ‘Family’. I want to make these into pillows. Picked up the pillow forms and needed material to finish these about a week or so ago, so it comes down to just making time to sit down in front of the sewing machine. Can anyone ever have too many pillows? 11. iPad Case from a child’s book: I found this awesome hard paged book at a thrift store for thirty three cents (3 for a buck) that will make the perfect holder for my iPad. Amazing and bright graphics – a wonderful story about a bunny. I have already cut the pages out and glued it. I just need to do some sanding to make the inside nice and smooth and then paint the inside edges. If you can’t picture this, think of all those old westerns where the ‘preacher’ had a gun tucked into a Bible, and you get the basic idea. This one is about 80% complete. 12. 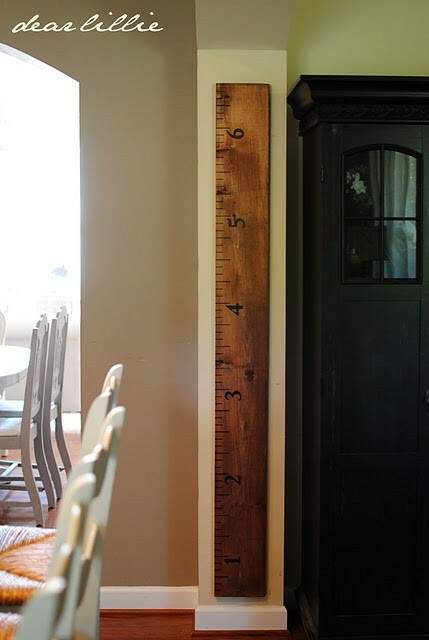 Six Foot “Ruler”: I saw this and knew that I had to have this somewhere learning against a wall to show that I have DIY skills. I bought the board, sanding and routed the edges and put the first coat of clear varnish on it. Now it’s gotten so cold that I can’t do any painting or varnishing outside or even the garage. Sometimes the delay is Mother Nature herself! 13. 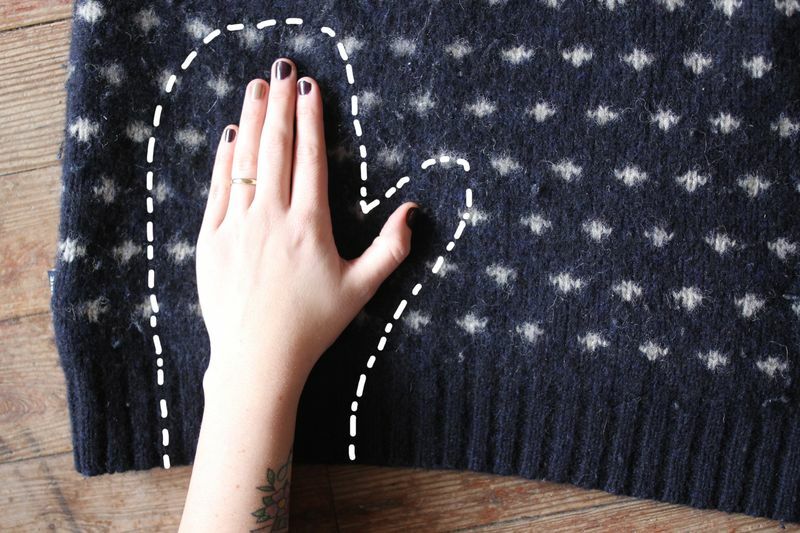 Sweater mittens: Ran across this pattern and ‘how to’ instructions on pinterest.com (again). This should be so easy to do and fun. Picked up a couple of beautiful sweaters at a thrift shop just for this (and probably will use the rest of the sweaters for some other project), but again, just need to lock myself into my sewing room to complete it. I suspect part of the lack of motivation has been the nice temperatures we’ve been having in this part of the country and the lack of need to have to wear mittens. I have the makings for hundreds (well, maybe dozens) of bracelets and necklaces, the irony is that I usually don’t wear much jewelry. I just love the creative process, so I will probably give them away as I complete them. That is my M.O. with the quilts that I make as well. I mean, how many quilts can two people use? So, that’s a lot of the projects that I have on my ‘To Finish” list. I have to admit that isn’t all of them, thought of more as I was writing, but I will have to do a ‘Chapter 2’ on another day. I hope to do lots more posting to this blog, I have been very lax as of late and promise to be better. I hope you will came back and visit again really soon.